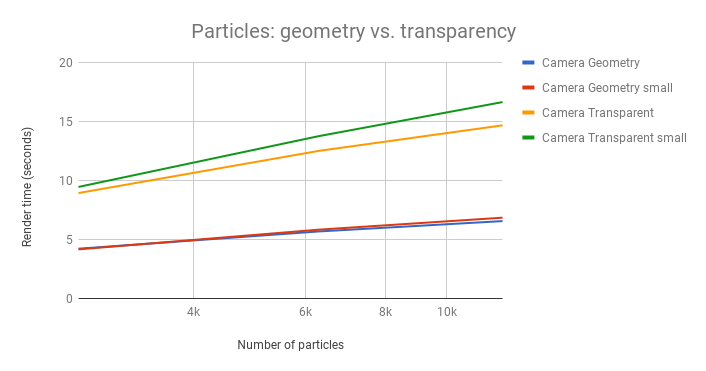 Rendering scenes with lots of particles can be quite expensive. 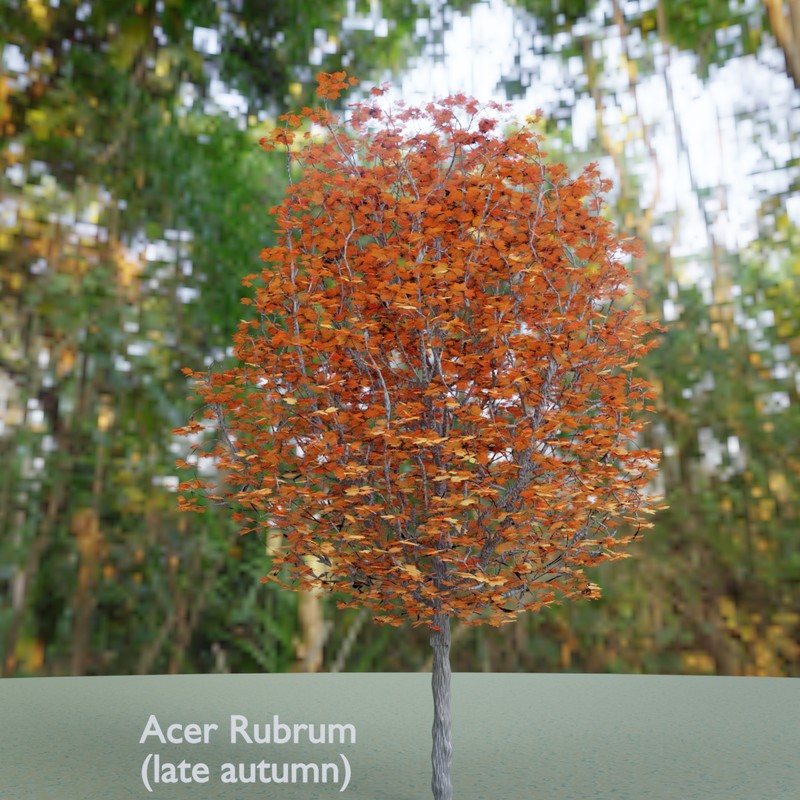 I render trees quite often and these trees typically have their leaves implemented as a particle system with thousands (or several tens of thousands) particles. Now the big question is, what is faster? Or to be more precise, what renders faster? (Because modeling a leaf or twig takes some time too, even is it is just a flat contour). 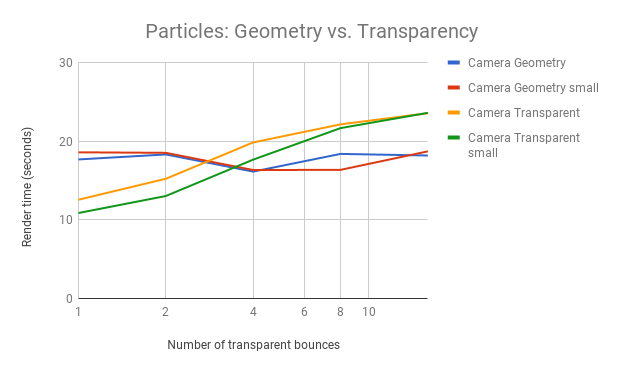 Short answer: using real geometry can save you about 20% or more render time compared to using transparency! We used the Cycles renderer on Blender 2.79 throughout on a midrange system (4core/8thread i7 @ 4Ghz, 16GB ram, NVidia GTX 970). 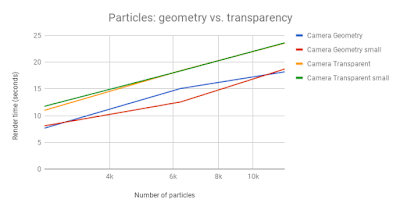 The transparent meshes are 1 quad each (2 triangles) while the real meshes are 12 and 36 tris respectively. Still up to 20% to gain! 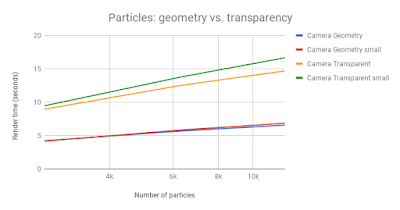 The slope of all the lines is fairly gentle: doubling the number of particles certainly doesn't increase the render time, and this can be explained when you realize that more and more particles will be obscured by others so no rays will be wasted on them. The surprising bit is that there is (almost) no divergence between the large and small leaves, even though the small ones will let pass double the amount of rays. Maybe in a less dense setup this would happen, but here it seems insignificant. Whether rendering on CPU or GPU it looks like creating simple geometry to model the outline of particles is preferable to using alpha mapped textures. Your mileage may vary of course (my Blender 2.79 on an Intel i7-4790K @ 4.00GHz / NVidia GTX 970 combo might behave differently than your setup), but I expect the general trend to be the same. 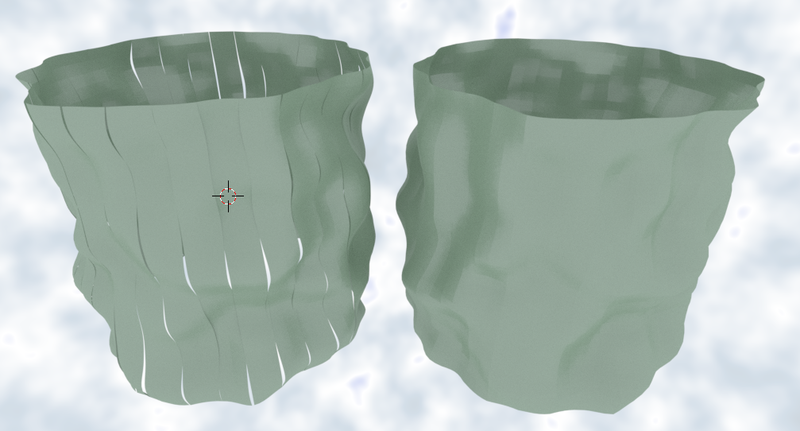 The image shows two identical meshes (created with Shift D) with the same material applied. 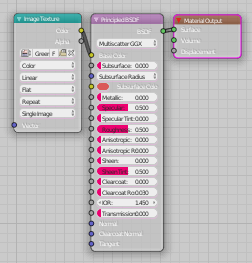 This material uses true displacement and both objects have a simple adaptive subdivision modifier. The one on the left has all faces flat shaded while the one on the right has all faces smooth. Apparently this is caused by having normals across the the edges of adjacent faces that point in different directions as displacement is along the normals. 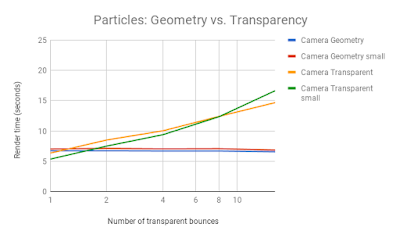 With smooth faces the calculated normals blend into each other, which will cause displacement near an edge to go in the same direction. Again, I don't think this counts as a bug, but it is good to know if just to prevent some head scratching. A new version of Nodeset is available that adds a subtract node if you use the option to link a heightmap to the displacement output. The reason is that most often the values in a heightmap are between 0 and 1, which will result in a bloated mesh unless you subtract 0.5 first. The current version (201801031529) is available for download (right click and save as ...) from my GitHub repository. 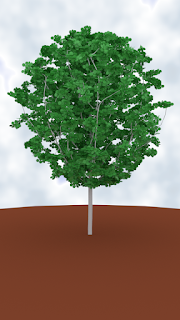 The tree was created with my Space Tree Pro add-on (available on Blender Market). 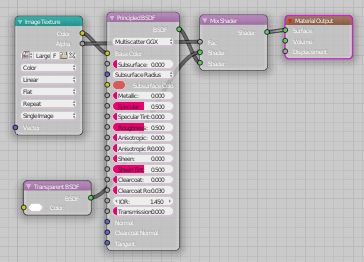 It can be used as is or (if you have the Space Tree Pro add-on) tweaked to your liking. 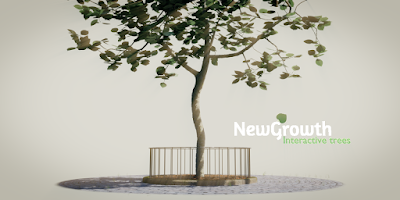 The tree is a generated mesh object called Tree and has a particle emitter parented to it. So if you move it make sure you move the tree mesh and not just its particles (called LeafEmitter). The materials used for the leaves can be tweaked to give an even redder appearance if you like, but I chose to tone it down a bit towards slightly more late autummn orange/yellow. The shape of the tree crown was modeled (roughly) on the 'Autumn Glory Maple' (Red maple, Acer Rubrum) (see e.g. https://goo.gl/images/DUAFw4 ) and the leaves were taken from a photographic reference (see below) and most likely from a north American red maple. 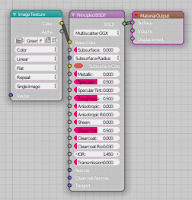 The bark material is a simple procedural material. If you render the scene be aware that the bark material uses the experimental micro displacement settings and is set to GPU. 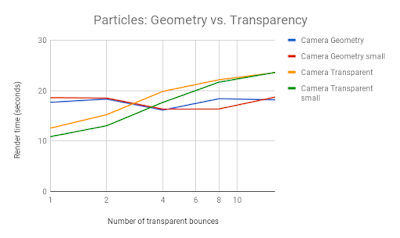 So depending on your system you might not see all surface detail in the trunk that you see in the sample rendering and micro displacement is heavy on RAM so you might need to use your CPU to render anyway. The .blend file is available for download from GitHub (right click and save as ...). It is fairly large (76MB) because of the packed image files and because the tree mesh and the leaf particle system add up to about 240k tris. It is distributed under a CC BY-SA 4.0 license. Even though these individuals provided material under a CC0 license, I really appreciate their efforts so I would like to point you to their respective web pages. The original leaf images are from Dustytoes on Pixabay They were also provided under a CC0 license and already isolated from the background. You might want to give her a thumbs up. I created 7 individual textures from the original and converted them to PBR texture maps using Substance Designer's Bitmap to material node.